So, I ended up in Silicon Valley for a new job. Specifically, my job is in Santa Clara, Ca. I’m now working in Greenville, South Carolina if anyone is wondering. The work seems good. It seems like they need a well-rounded programmer, which I love. Well, ever go into a store and notice knives on display? Ever try to remove one of the knives? 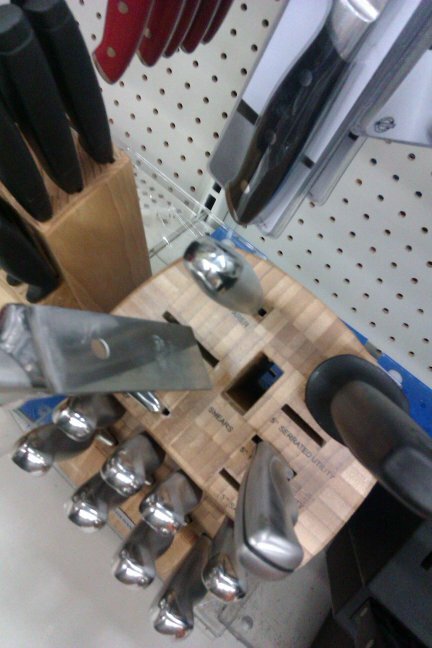 I always thought that they drilled holes into the knives so they would stay in the block. I had to try it. Apparently I was thinking more of the McLeod gang from the movies. 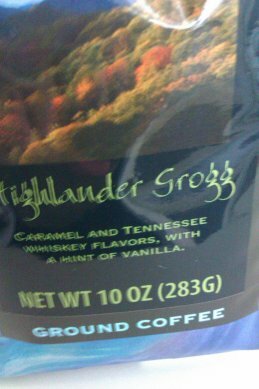 Anyways, it seems to be a blend that is named after one that used Scottish whiskey, with some additional sweet flavorings. This one is roasted by the Southern Home company and seems to use Tennessee whiskey instead. It also tastes excellent. I do wonder if there’s any significance of spelling it “Grogg” instead of “Grog”. I know Grog was watered-down booze. My brother just asked me if this is coffee, and indeed it is. Well, I’m gathering food to donate to a food bank tomorrow. The reason is simple: my car has only so much space, and if I didn’t donate it, the food would probably go into the trash. I like the former. I have to contact the food bank about frozen foods tomorrow. How hard is it to get fried chicken in Wilmington? So, yesterday was hectic and most of you know the story. At the end of the day, I absolutely did not want to cook, at least not too much. I had no idea what to eat until I saw the sign for Popeye’s Fried Chicken. So, after getting my coupons, I walked up to the Burger King to see their prices since I know fast food burger prices better than fried chicken prices. Yep: $2-4 inflated since it’s an I-95 rest stop. Popeye’s not only was also expensive, but there was a huge line for it. Okay, then how about KFC? I drove to the KFC only to have this guy completely block the parking lot. After 2-3 minutes of not being able to get into the parking lot, I then went to Boston Market, and they had roast chicken. I kind of wanted it, but something in me really wanted fried. So, as a last resort, I went to the ACME to get the fried chicken. I thought: if I’m getting it from a grocery store, might as well get it from the highest-end store within reason. It’s also very close to my apartment. So, the chicken was good and I had a box of Eggo waffles. I cooked up a can of corn and had dinner. However, I won’t forget how hard it was to get 4 pieces of fried chicken in Wilmington, Delaware. Well folks, I just landed a client if I make the background checks. I really should start packing. I’m at the non-essentials phase. I bought a knife set that retails for $99. I had a lot of rewards points built up and a birthday gift card I used to get it with. I know it’s not the top-of-the-line knives, but there’s something about that set. It’s the first mid-range knife set that I bought for myself. The knives all work well. I also bought a Wusthof Santoku from TJ Maxx. It turns out to be a lower-end one that didn’t get rated too highly on Amazon, but it chops pretty well. I put half of my knives in there already. 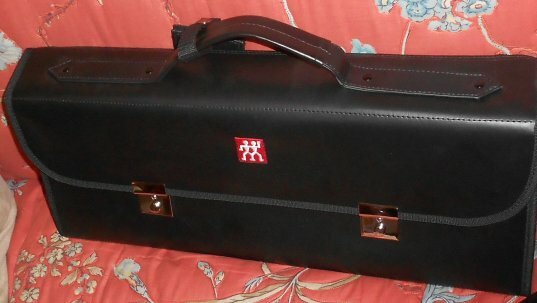 I quickly found out that this wasn’t a 7 knife roll, but one that took a lot more. 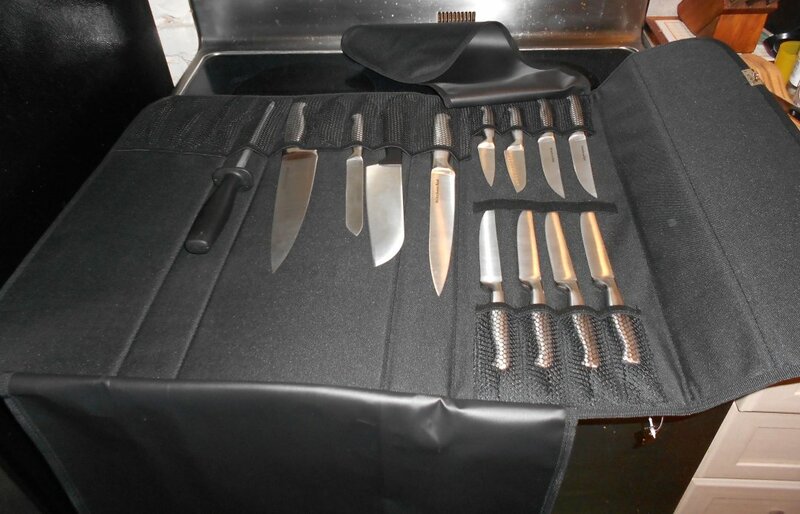 I went ahead and put all of my good knives in it to see how it was like. It took all of them with room to spare! This roll was a really good deal! 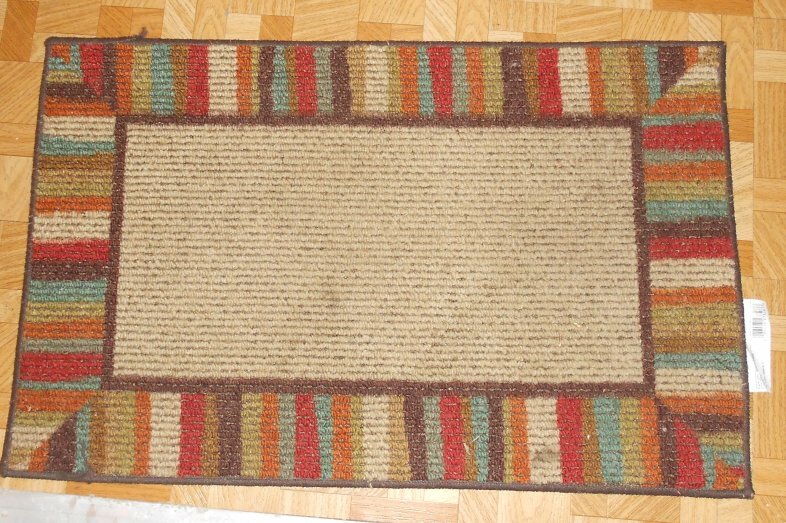 One thing I find really attached to: a $20 mat I bought from Target. I remember this one well. I looked at different mats and this one looked decent. I was mixed about buying it, and this was one time where I went “If this is made in the USA, I’ll buy it”. I was surprised that it was and I bought it. There’s a story behind this. In San Antonio, I dragged in a lot of mud into my apartment. This caused quite a mess. I looked up how to clean this on the Internet, and ended up buying a very cheap vacuum cleaner that’s at my parents’ house. My mother is more than happy to use it, not that I had the car capacity to take it with me. It’s basically hers now. Back to the mat. I bought this mat to wipe my feet with. At first, it was inside my apartment. However, it ended up outside. This mat has been with me as a consultant since San Antonio. It’s still with me in Wilmington, Delaware. My land lady thought it was one of hers, and when I put it outside my door, she moved it to the other door where it looked better. This happened a few times. I ended up putting a note with this that it’s actually mine. So, it hasn’t moved since then. I’m glad I’m able to keep it. Wow. I just realized how generic and unspecific the “setback” post was. Anyways, if you are curious, I kept running into a simple setback that dealt with number precision. The symptoms were weird. I divided a number by something like 7 using code. I then used that result as an increment in a for loop. However, there would be a weird amount of missing leftovers from the increment (like the end result was off by 4-6 )! I would run my code line-by-line, and the math would completely check out! So, I figured out the precision issue when I took the total of whatever I was dividing with calc.exe, and was getting the correct answer, but with some stuff after the decimal. So, I took the whole number and multiplied by whatever I divided by, and lo and behold! The total – (whole * whatever) = how much I was off by. After changing from int to double, the math worked out near-perfect. So, I learned yet another lesson about precision. I got laid off from this position. I ended up not doing much on the Android side of things, and actually did some light J2EE work. Anyways, I’m inbetween clients and already I’m talking with a few companies about employment. They are challenging positions that will be difficult, but something in me wants one of them.